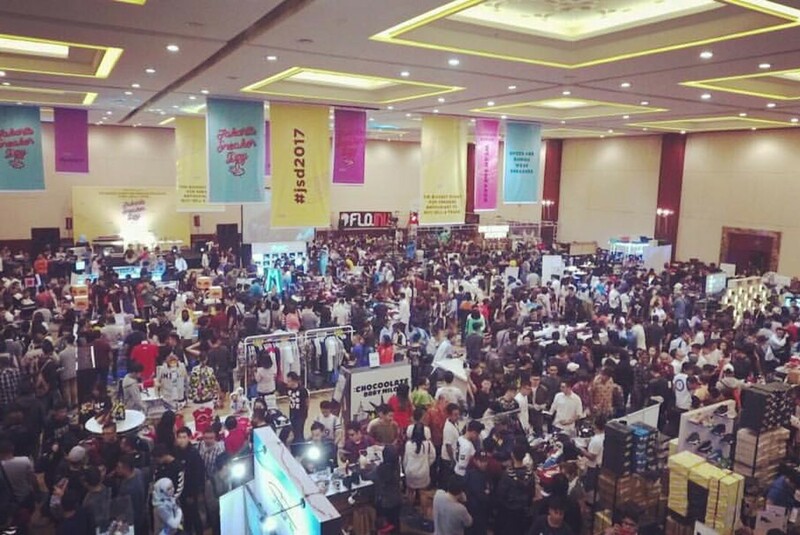 The annual Jakarta Sneaker Day returns for the third time at The Hall in Senayan City, Central Jakarta, from Feb. 7 to 9. Numerous limited edition sneakers are being released at the event, including the handpainted Vans Anaheim Factory Era 95 DX, which was part of a collaboration between sneaker brand Doper & Dapper, JSD and artist Gerson “Gersonewone” Gilrandy. Only 12 pairs of the sneakers were made available worldwide. Meanwhile, other interesting releases are Puma Hot Wheels, Puma RS-X Toys and Dope & Dapper’s Puma x Sankuanz RS-X. As reported by tribunnews.com, a crowd started to gather at the venue hours prior to the opening. One of the visitors shared that he was eyeing the new, limited local brand sneakers Compass Bravo, which had teamed up with influencer Brian Notodihardjo. Themed "The Rise of Sneaker Culture", this year’s Jakarta Sneakers Day aims to bring together different communities within the sneaker realm to benefit the local creative industry. “One of our efforts is [initiating] a collaboration between [webcomic] Tahilalats, Vans, [furniture company] KamarQ and 30 artists,” event director Andrey Noellfry told kompas.com. Among activities and promotions scheduled at the event are giveaways, an auction, music performances, trading pit and community gatherings.